Sometimes you need to simulate or provoke a crash on a Virtual Machine to either verify a problem or get a Memory Dump to have a closer look at whats is happening with the Virtual Machine. The thing is, its quite tricky to do that manually. Lucky for you there is a quite simple way to achieve this on a XenServer and I will show every step of the way. 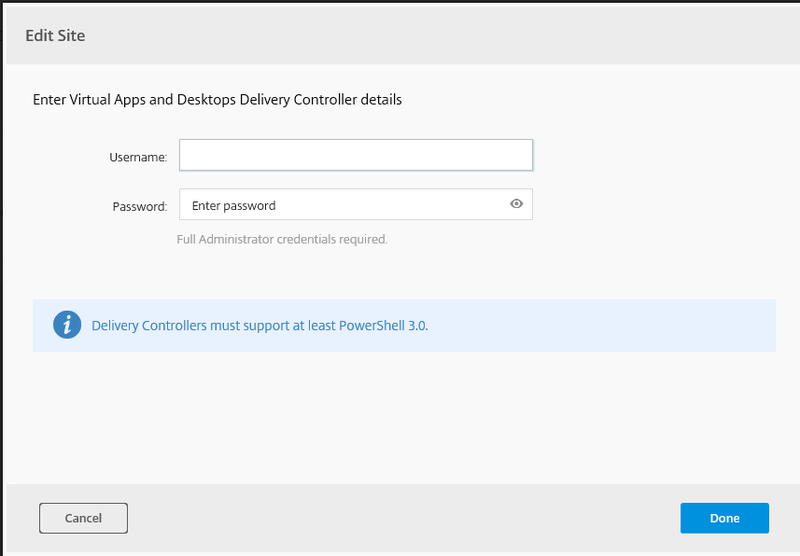 Find out the VM ID the XenServer has provided the VM, this changes when rebooted so you need to make sure every time you do this, you cannot use the same ID again. First make note of the Virtual Machine UUID, you can find it under “General” for the specific VM. 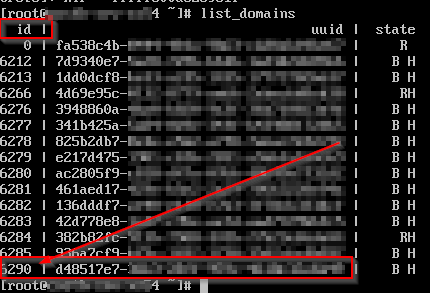 As you can see it lists all the VM on this XenServer, and you will also see the ID provided correlated to the UUID. Make sure you have the correct ID and type the following: xen-hvmcrash <ID> (without the brackets). Congratulations, You have now successfully crashed the Virtual Machine! Let’s say you’ve bought in 50 new iPad devices that you want to deploy to your users, and you have acquired a new mobile application that you want your users to start using on these devices. This is a fairly common scenario for businesses and companies. But how do you do this in a fast and secure way? 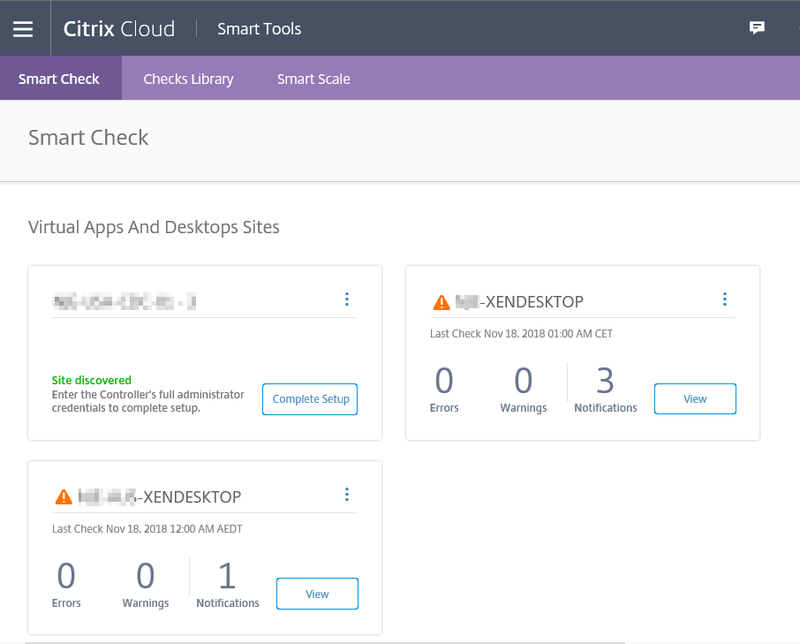 By using Mobile Device Management (MDM), Mobile Application Management (MAM) and Citrix Endpoint Management (formerly XenMobile Services) in this case, we can configure these devices to fit our needs, without any end user interaction whatsoever. 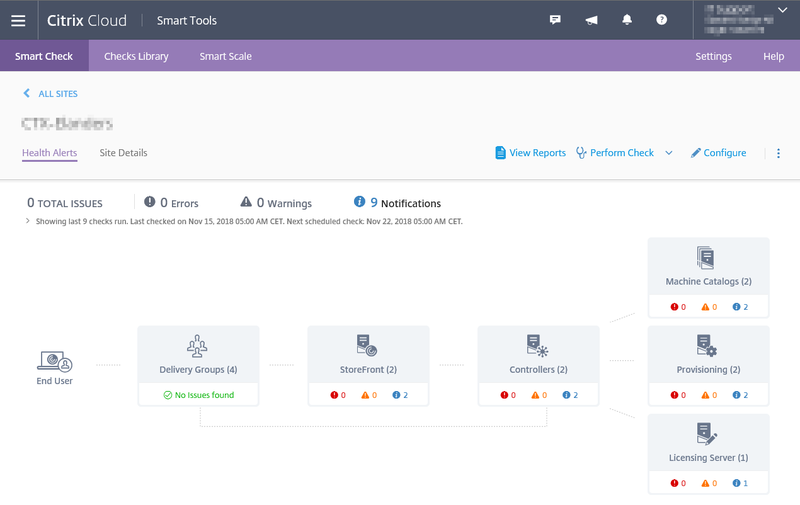 These requirements are easily configured using Endpoint Management. By using using polices and synchronization to Apples services we create a seamless experience for the end user. First off, we need to do some configuration to get the application out to our devices. Using the Apple Volume Purchase Program (VPP), we can automatically install applications without any user interaction or Apple ID login. You enroll to the program on Apples web page, where you after enrollment download a token and upload it to your Endpoint Management console. It then automatically syncs down any applications you buy from the App Store into your Endpoint environment, ready to be pushed out to any devices automatically. So when the application is in your system and set as required, it automatically gets intalled on the devices. More information on Apples VPP program can be found here. With the use of Endpoint Management policies, we can configure the devices the way we want them. By creating a restriction policy and applying it to the devices, we can control what is and what isn’t allowed to do on the device. We can for example not allow applications to be downloaded, camera used or Siri activated, as shown in the screenshot below. There are many, many more restrictions that can be made. This is a good feature to use, when you don’t want the end users changing configuration and settings on the devices. 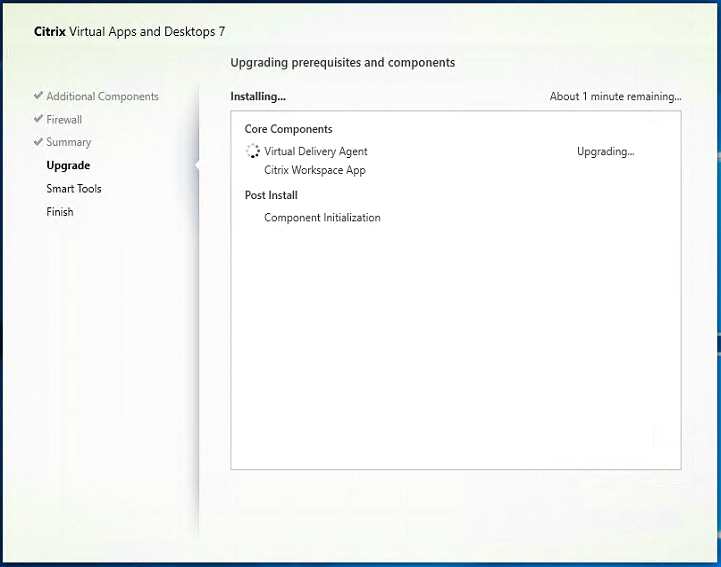 When the users now start the device for the first time, all the configurations and policies applied to the device will be configured automatically without any configuration requirements. 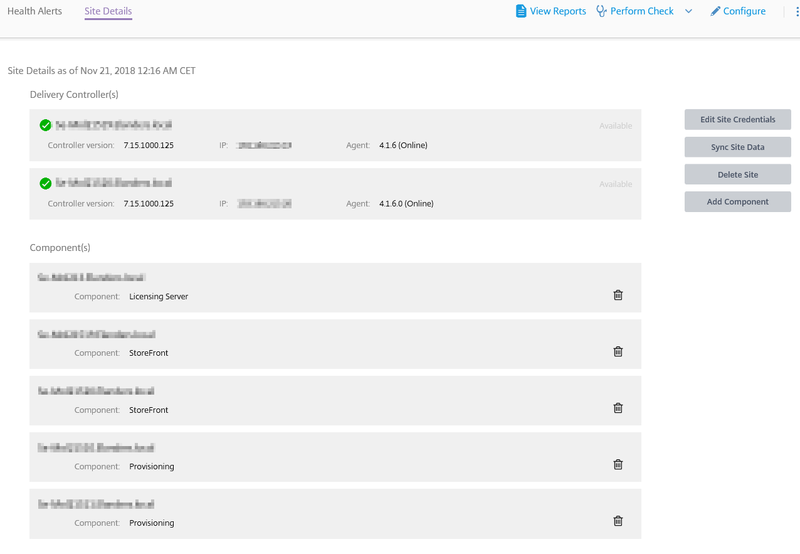 By using MDM, MAM and Endpoint Management, we can really simplify the challenges that comes with administering mobile devices. Teams in your Multi-user environment done right! Microsoft Teams is on the rise, more and more businesses is seeing the potential of Teams and want a piece of the action. There is however some rumors indicating there will be releasing a business version soon addressing this very issue! But if you are anything like me, and cant simply wait, there is a solution if you are willing to pay a small price, and you will at the same time have access to tons of other great stuff. FSLogix Profile Container is a great product that basically removes the profile size entirely, is an little agent you install on your Session Hosts and configure with an ADMX, you also need a file share with enough space for some big profiles. FSLogix is in the business of so called filter-drivers, what it does is simply put, lying to Windows. For example, when you install a 32-bit application to your 64-bit Windows System, Windows will use its own filter-driver to get it to work, its the same technology, its efficient and simple. In FSLogix case it is lying to the windows about the profiles, Windows thinks its a local profile, it does not know that in fact, the entire profile is contained in a vhd-file, mounted to the server. Because its a virtual disk that attaches to the server, there is only one SMB handle. It will therefor not be a huge load on the network, which you often sees when you for example roam your profiles. When you have FSLogix Profile Container in place you can now install teams on your environment. In early October Microsoft released a new version of Teams with some new features when deploying Teams to all the users in an organization, we are going to use parts of that to install Teams on to our environment! Download the latest version of Teams MSI-file (x64) file here! This will put an Install file under “C:\Program Files”, and when a user logon it will automatically install Teams to this user. You do not need to update the MSI to the latest version, Teams will automatically download and install pending updates on the next logon of the user. There you go, now your users can benefit from the full experience of Teams in your Multi-user environment, with one exception: if you are using Citrix, you have “Skype for Business Optimization Pack” to utilize local client resources for best quality of Skype meetings and calls. There is no support for Teams as of for now. It will soon be available though. With that said, I wouldn’t uninstall Skype for business just yet. As mentioned above, there is a lot of benefits using FSLogix Profile Container. 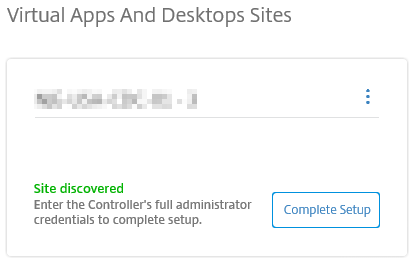 For a great period of time, Citrix User Profile Manager has been the best way to reduce the size of the profiles while still have the most important settings saved in your profile. But this is still just a trade-off, you trade off your caches and settings that impact your profile logon, but at the same time still trying to get the best experience for the user, this will sometimes collide and you have to choose between longer logon time or full functionality of a certain application. With FSLogix Profile Container you no longer need to worry about large profiles, you don´t need to trade off! 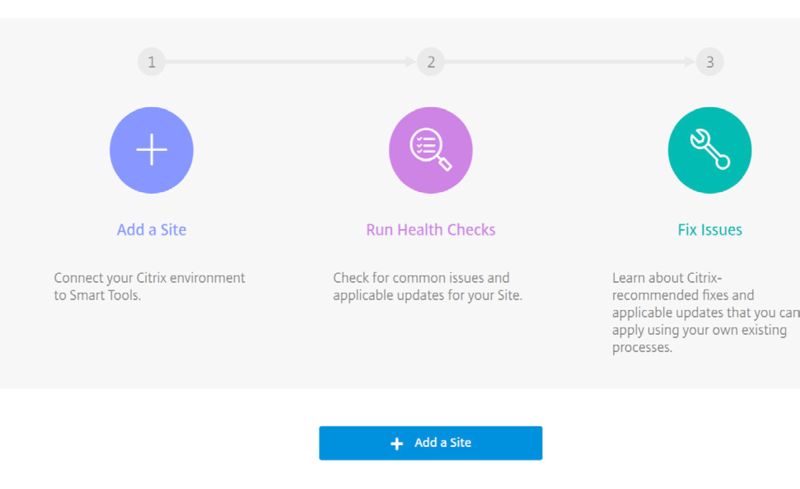 There are a lot of applications that saves a ton of settings and files in your profile that you now can install without impacting the user experience, this opens up a great deal of opportunities. You can for example install OneNote with it´s (potentially) gigantic cache, CAD applications with thousands of files in the user profile and so much more. If you find this interesting and would like a trial of FSLogix Profile Container to see if this fits your organizations needs, please contact us. It is easily installed and does not require additional servers or infrastructure! 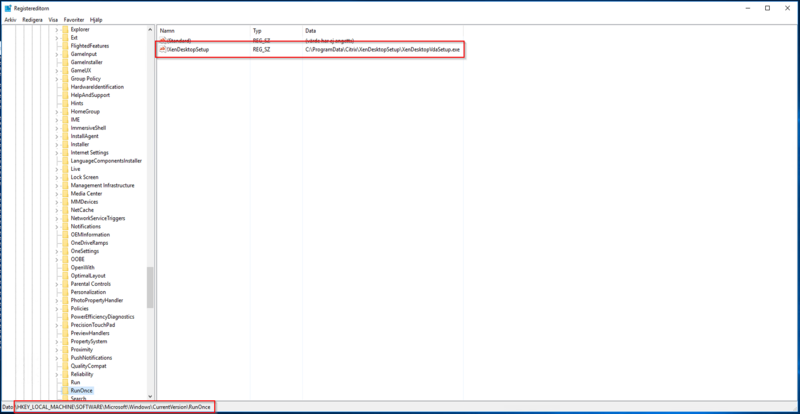 Recently, I have been involved in some larger XenApp projects where one of the objects have been to migrate home directories when users change environment. People tend to lock themselves to the idea that IT must help migrate home directory when the user is given access to the new environment. A better way to approach this is to publish a script to the start menu and inform users to run the script when first logging in to the new environment. In one of the projects it were a bit more complicated because the home directory structure was different from the structure in the new XenApp environment (see below). $MSGBoxTitle = "Copy the entire home directory from the old environment"
$MSGBoxText	= "Press Yes to copy the home directory from the old environment or press No to cancel"
New-Item -ItemType directory -Path "$env:APPDATA\Microsoft\Signatures"
$MSGBoxText	= "Your old home directory has now been copied." 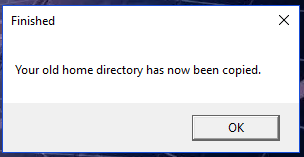 $MSGBoxTitle = "Could not find your old home directory"
$MSGBoxText	= "Your old home directory could not be found. Please contact the IT department." The end result looks like this;. 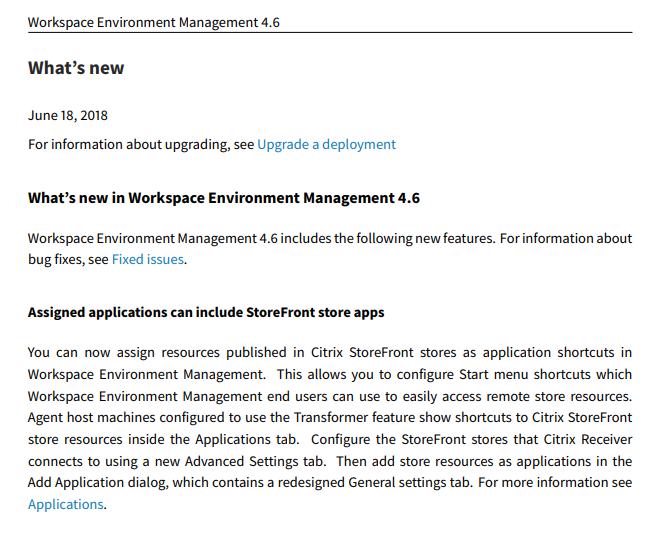 The other day I tried to update Workspace Environment Management from 4.5 to 1808. I followed the guidelines provided from Citrix here. Everything went fine with the update of “Infrastructure Services”, “Database” and “Administration Console”, but when I tried to connect to the “Infrastructure Services” with the “Administration Console” I faced the error “Specified Infrastructure Server seems to be offline or have a wrong database configuration. Please check configuration and try again.”. I saw that the connection started to initialize to the database and everything went fine until WEM tried to read “StorefrontSettings”, then the error came up. 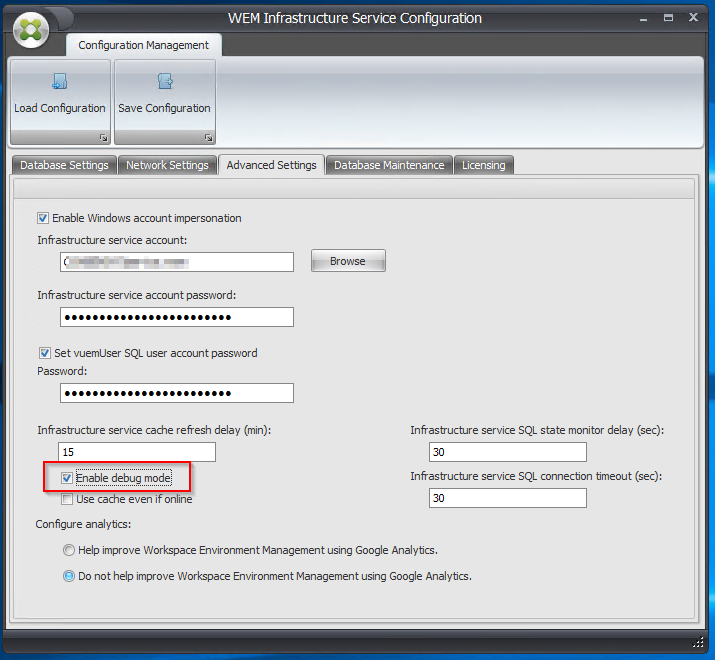 I started digging by enabling “debug mode” in “WEM Infrastructure Service Configuration”. 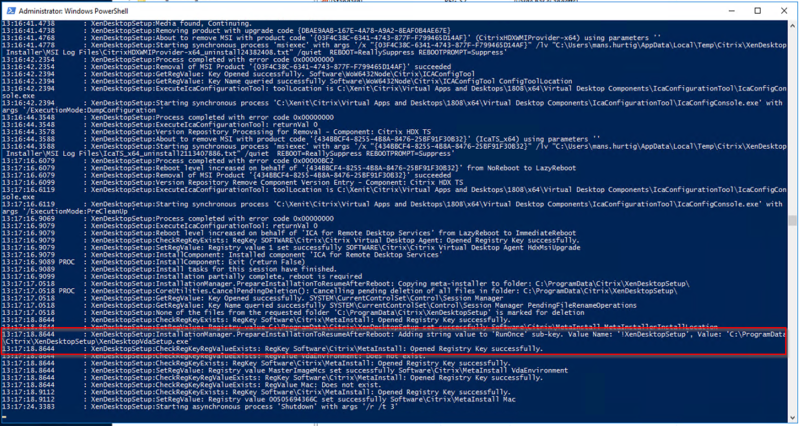 This saves a log to “C:\Program Files (x86)\Norskale\Norskale Infrastructure Services\Citrix WEM Infrastructure Service Debug.log” with information and errors connecting to the “Infrastructure Services”. Unfortunately I did not save the exact error message but it was something like “Error reading dbo.VUEMStorefrontSettings”. 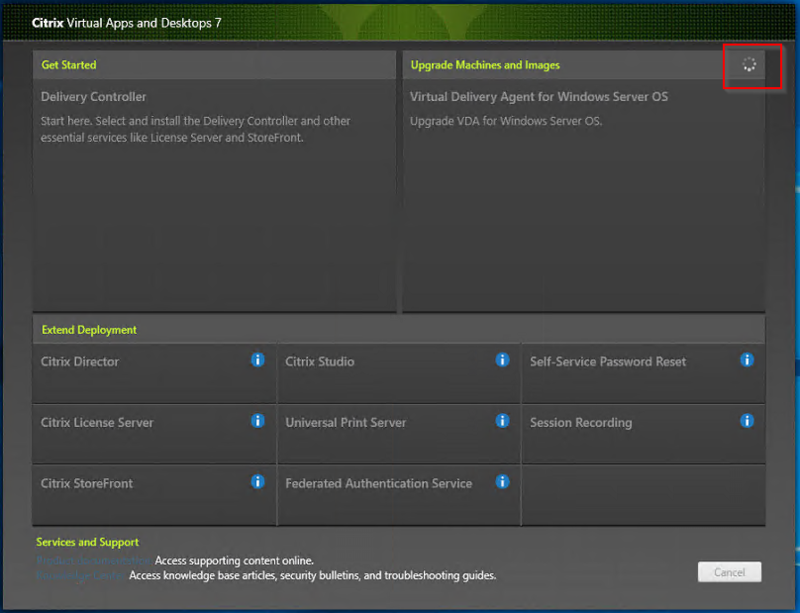 I remembered that Citrix added the functionality to point to a StoreFront store in version 4.6. To resolve the issue I restored the database and server to 4.5 and upgraded all the components and database to 4.6, then 4.7 and then finally 1808. After this everything worked as expected. 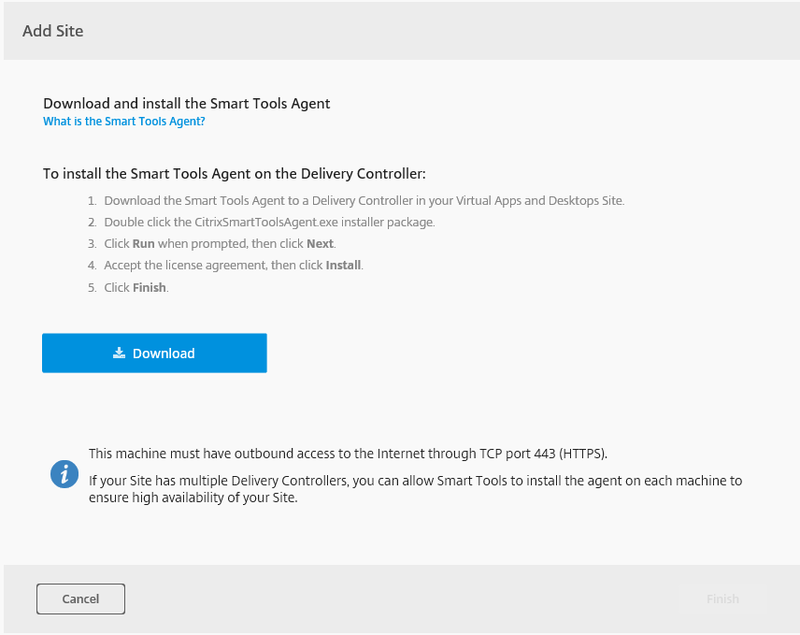 I’ve previously written about how to use OpenID Connect in NetScaler and a way to use callouts to validate tokens. You can also use the function JWT_VERIFY_CERTKEY() but that requires that you (for now) keep the issuing certificate updated locally. The only thing you have to do is send traffic with tokens (HTTP.REQ.HEADER(“Authorization”).SET_TEXT_MODE(IGNORECASE).CONTAINS(“Bearer “)) to this LB and a session will be created in NetScaler. In my case, I’m also verifying that the user exists using a second factor to LDAP. add authentication OAuthAction AAA-AS-OAUTH_WEBAPP -authorizationEndpoint "https://login.microsoftonline.com/TenantID/oauth2/v2.0/authorize\?response_type=code&scope=openid%20profile&client_id=ClientID" -tokenEndpoint "https://login.microsoftonline.com/TenantID/oauth2/v2.0/token" -clientID ClientID -clientSecret Secret -GraphEndpoint "https://graph.windows.net/" -CertEndpoint "https://login.microsoftonline.com/TenantID/discovery/v2.0/keys" -userNameField preferred_username -issuer "https://login.microsoftonline.com/TenantID/v2.0"
Try it out and all feedback is welcome!